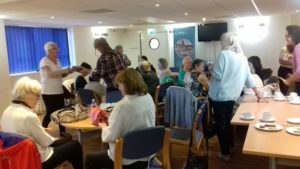 The Breast Cancer Support Group is a friendly and supportive group not only for those recently diagnosed with breast cancer, but also for those whose treatment has finished. We are not only here to support those affected, you are welcome to bring someone with you if you wish, male or female. 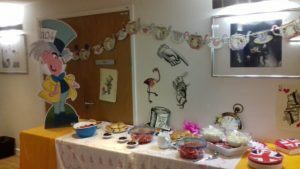 The Breast Care Nurses also attend and encourage you to enjoy a chat over a free cup of tea or coffee and join in the fun when we run group raffles. We aim to be there for you when you need to talk or just for some light-hearted company. Peer support can be a great way to negotiate your cancer journey. Where Is It Held & When? The Support Group meets once a month on a Saturday at the Academic Centre in the grounds of Maidstone Hospital in Hermitage Lane, ME16 9QQ. Do come along between 10.00 am and 12.00 noon. We often have invited speakers who give interesting talks on a variety of subjects related to coping with cancer treatment. These have included plastic surgery, coping with side effects, menopausal symptoms, alternative therapies, well-being and art therapy. We have also held a strawberry cream tea, a bring and buy stall, had general get togethers for a chat and not forgetting our legendary Christmas party which includes a fun quiz! Each month there is a fundraising raffle, so don’t forget your purse! 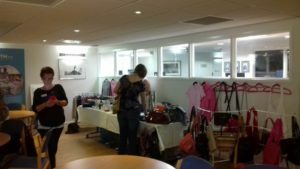 Two of our ladies run a ‘Chic For Chic’ accessories stall which sells ‘pre-loved’ accessories such as handbags, purses, jewellery, scarves & shoes at some of the meetings. All items have been donated to them by friends, family and support group attendees and the money raised goes straight to the Breast Cancer Kent charity funds. It’s great fun and you can pick up some great bargains! There’s nothing like a bit of ‘retail therapy’ to add a bit of sparkle to your Saturday morning! Many ladies attending the group make firm friendships that last way beyond their treatment and support them throughout their ongoing survivorship. 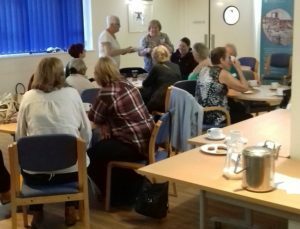 You can come regularly or just attend when you feel the need, there is no pressure and the group will always be pleased to welcome you. Free car parking is available beside the Academic Centre opposite the bus stops. The parking barrier is usually raised, but if not please press the telephone receiver icon and when the attendant answers, say you are here for the support group. If you have difficulty with transport, or are nervous of turning up on your own, there are plenty of members of the group who would be happy to pick up others in their area, or buddy up for your first attendance. Please contact the Breast Care Nurses for details on 01622 225743.